Baby Showers at The Beacon Center, OH MY! Every Mother remembers being pregnant with her first child. My own Sister-in-law and Mother invited 15 of my closest friends and family to our tiny apartment. We celebrated the upcoming arrival of my first child with food, friends, and fun, tightly packed together. Our celebration was decidedly different than those of ancient history. Despite the commercialization of showers in America during the 50’s & 60’s, the love and excitement remain the same. Today, many homes are smaller and trying to keep baby showers in the family living room is a challenge. If this sounds like you, The Beacon Center is here to help. 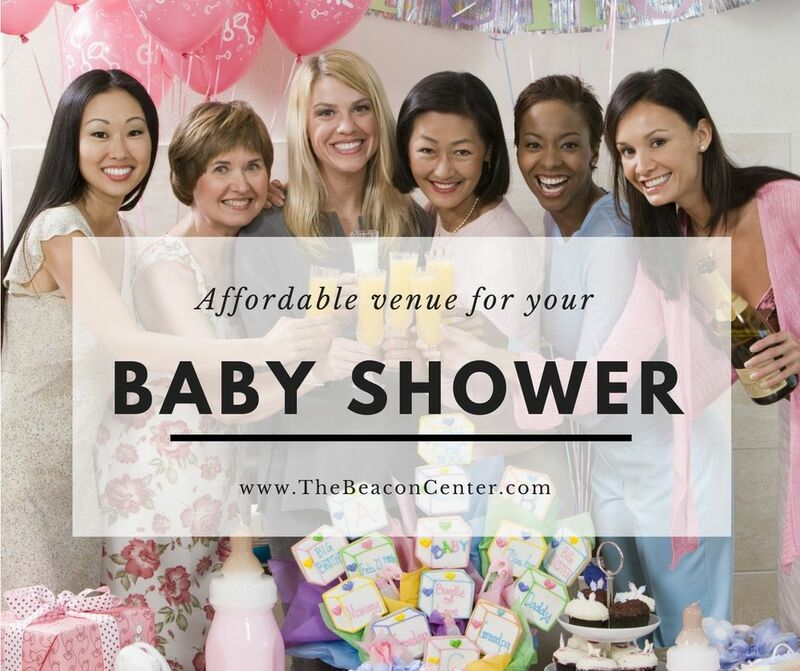 With our 1300 square foot venue, we have plenty of space and amenities to make all of your Baby Showers extra special. We LOVE babies and we want you back again and again. Imagine not worrying about cleaning house, guests parking in the neighbor’s driveway or your husband hanging around. Unless of course the guys are invited. Today, many homes are smaller and trying to keep baby showers in the family living room is a challenge. You only need 50% down to reserve your date with the balance due 7 days prior to the event. While you are welcome to bring your own food and drinks, we invite you to contact our independent caterers. They can provide personalized quotes directly to you based on your needs. Since opening The Beacon Center we have hosted dozens of Baby Showers. Let us put together a package that combines affordability, simplicity & fun. Just the thing to welcome your bundle of joy to the world. Baby Showers – An Investment in the Future?